Memory was born by c-section, she was small but healthy. After the surgery, her mother had severe anemia, she receive a single unit of blood but her body struggled to recover from the stress of the delivery. Her condition deteriorated and within a few weeks she died. Memory is now being raised by her grandmother in the village. She is pictured here in the arms of her older brother. 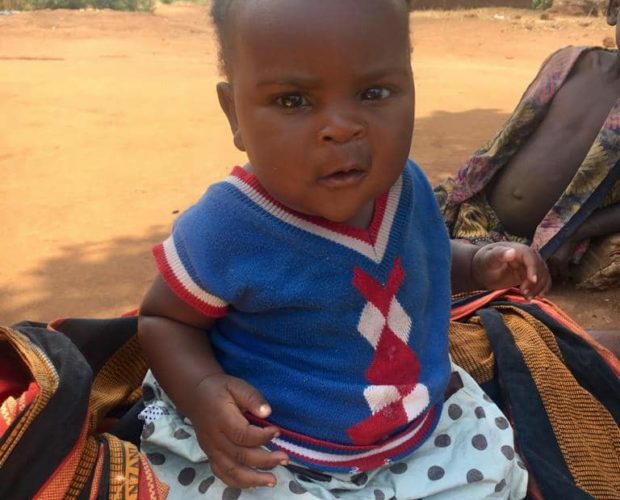 – 10 babies were enrolled in our program, including three orphaned newborns, one set of triplets, one baby with multiple congenital anomalies, one baby who was abandoned in a public space, one baby’s whose mother was not producing breast milk, and one baby whose mother was on chemotherapy. – 7 women were enrolled including five with ruptured uteruses and subsequent hysterectomies, and two with severe infections following c-sections and subsequent. Mary was pregnant with her fifth child when she tested positive for HIV. She attended prenatal clinic and was able to receive anti-retrovirals to lower her viral load and decrease the risk of transmitted the disease to her baby. She went into labor a bit earlier than expected but delivered a healthy five and a half pound baby boy. Mary’s health seemed stable but she had developed a sore on her leg which, despite herself care, only seemed to get worse. The midwives who attended her delivery determined that the wound was severe enough to refer her to the regional hospital. There clinicians biopsied the wound and diagnosed her with cancer. Mary soon began chemotherapy but was forced to stop breastfeeding. At this point Mary and her baby boy were referred to Joyful Motherhood. The World Health Organization recommends that HIV positive women exclusively breastfeed their babies to six months. WHO recommends anti-retrovirals during pregnancy and breastfeeding to decrease the risk of transmission. 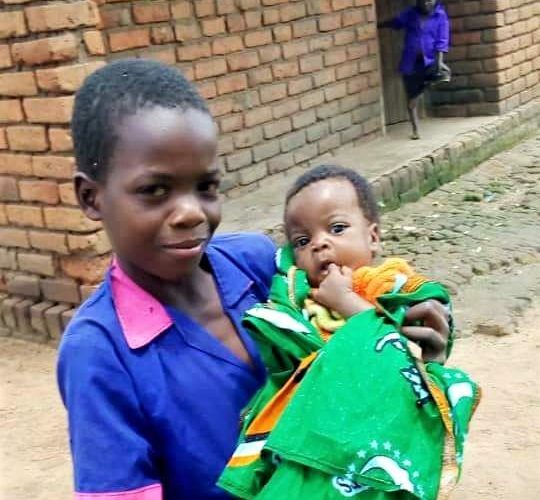 The risk of death from malnutrition or diarrheal illness for a young baby in Malawi outweighs the risk of HIV transmission from his mother. Formula is used as an absolute last resort, for babies who do not have access to the breast milk their need to sustain their lives. Joyful Motherhood nurses are visiting Mary and her baby, providing formula, monitoring his health, growth and development and providing health education to Mary. Sakina felt some early painful contractions on October 15th. She was a healthy 17 years old, expecting her first baby. 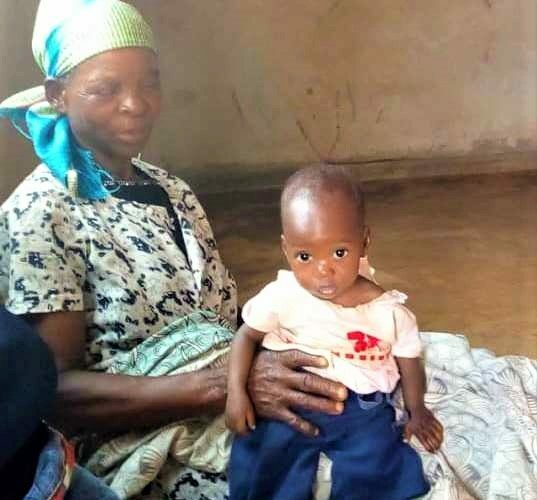 Her mother accompanied her that day to the nearby health center to ensure that she labored under that watchful eyes of trained midwives. Soon after their arrival Sakina began seizing. She had developed eclampsia. Sakina was transferred to the district maternity hospital for high risk management. Pre-eclampsia is a life-threatening disease of pregnancy. Even in 2019 our knowledge of pre-eclampsia is incompleted. We know risk factors but cannot predict who will be affected. When a woman suddenly develops high blood pressures and has protein in her urine she is diagnosed with pre-eclampsia. Delivery is the only cure. In the US a woman with pre-eclampsia is monitored carefully and delivered as soon as possible. In Malawi these early signs are often missed. There is often not much time between their onset and the quick acceleration of the disease. Pre-eclampsia may affect all the major organ systems and ultimately lead to death. Seizures indicate an advanced disease process (eclampsia). On October 30th Sakina finally delivered a six pound baby boy. She was critically ill but clinicians believed she was well enough to go home and discharged her on November 4th. Sakina’s body was struggling to heal from the eclampsia and the c-section and she did not produce any breast milk. 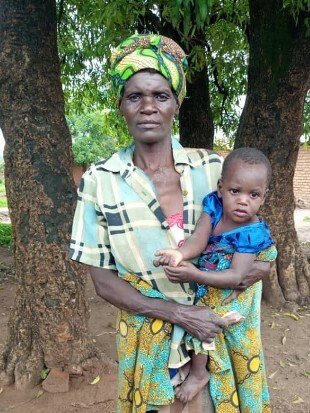 Her mother anxiously and loving tended Sakina and the baby, she saw them both struggling, but how could she leave Sakina to seek help for her grandson? She feared Sakina would deteriorate if left alone and where would she even go to get milk. 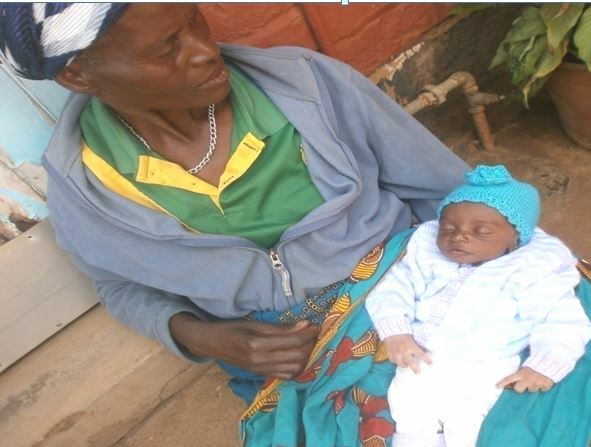 Within one week Sakina’s baby boy wasted away and died. On November 11th Sakina’s mother could wait no more, she decided that to save Sakina, they would go to a mission hospital. She would have to pay for care but she would worry about that later. At the mission hospital doctors diagnosed Sakina with a severe infection and referred her to the region’s high risk maternity hospital. There Sakina was diagnosed with severe peritonitis and a necrotic uterus. On November 12th 17-year-old Sakina was taken to the operating room and underwent a total hysterectomy. Weak and critically ill Sakina stayed in the hospital for over a week. On November 20th when it was noted that her condition was not improving, she returned to surgery. Her wound was reopened more purulent material was washed from her abdomen, four drains were placed. For the next month she stayed in the hospital, her wound slowly healing. On January 4th Sakina complained of leaking urine and a fistula was noted. She was referred to the fistula center where she was taught about dressing changes and discharged home on January 6th. She was still leaking urine but would have to wait until her body was strong and healthy enough to undergo the first repair surgery. Joyful Motherhood nurses first met Sakina while at the high risk maternity hospital. They followed her after discharge and will continue to visit her, monitoring her health and offering emotional support to her family until she returns for her fistula surgery. Domisa was expecting her third baby. 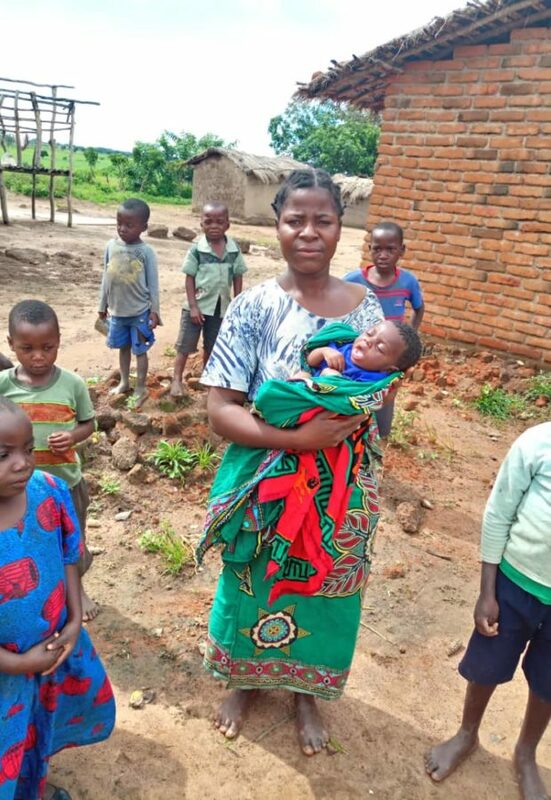 She had two normal deliveries but her third labor was long and difficult, she was ultimately referred from her health center to the district hospital where she was delivered by c-section. Three days later, when she should have returned home with her newborn son, nurses noticed pus oozing from her surgical wound. She returned to the operating table and found that the first surgery was done incorrectly, a lip of her uterus had been sutured to her bladder. At that point the infection was so severe that they removed her uterus, her bladder was damaged in two places and a fistula. Her wound was left open to continue to drain. A month after her labor started she was sent from the first district hospital to a fistula center to await surgery for fistula repair. Joyful Motherhood nurses met her in early November and continued to follow her and her baby once she was discharged home. 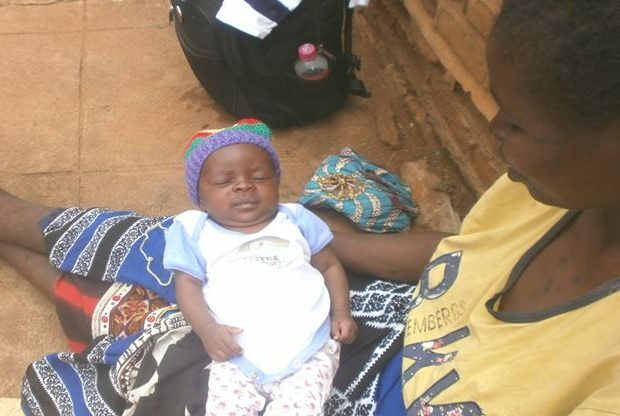 Joyce was pregnant for the 6th time, she attended her prenatal visits as recommended at the clinic closest to her home. Her belly swelled quickly and about one month before the time she expected to deliver, she started contracting and felt a small pop followed by slowly leaking fluid. She made her way to the district maternity hospital and soon delivered four live but small babies vaginally. She was admitted to the kangaroo ward with her four newborns but within the first week her last baby boy died (the probable cause would be infection contracted from the hospital). She was then referred to Joyful Motherhood. Joyful Motherhood nurses have been visiting Joyce at home and supporting her in the care of her babies since November. 8 babies were enrolled, including 4 orphans, 1 set of triplets, and one newborn whose mother was critically ill.
Nurses conducted 149 visits to beneficiaries. A Woman’s Story. Lonely Harold was enrolled in October. She was 20 years old and pregnant with her first baby. She started labor at home and then made her way to a health center. When it became clear that the labor was not progressing, she was sent to the district’s maternity referral hospital. At some point her baby girl died inside of her, but it was not until after her c-section that she learned that she would not return home with a baby at her breast. While still in the operating room, Lonely experienced a heart attack and required resuscitation, her lungs filled with fluid and she was sent to recover in the ICU. Twenty days later she was discharged home without her baby. A Baby’s Story. Tikhale was 23 years old. Her first baby was a stillbirth. Her second labor was difficult and finally, on October 10th, resulted in a c-section. Her newborn daughter was distressed and needed resuscitation but they were both discharged home in stable condition after a few days. Several days later Tikhale returned complaining of stomach pain, she was hospitalized and given a transfusion. She stayed in the hospital for two weeks and died there. The woman who took in her baby, named her Memory and was referred to Joyful Motherhood for support. This is Enes and her baby Vincent. In October 2018 Enes started laboring for the fifth time. She already had five little ones at home (including a set of twins) and all her previous pregnancies and deliveries had gone well, but her labor with Vincent was different. With four previous births, Vincent’s birth should have been relatively easy, but the pain continued hour after hour for two days without progress. She spent those two days she at a local hospital without an operating room. After two days midwives transferred her to the district hospital and she ended up with a c-section and a large healthy baby boy. 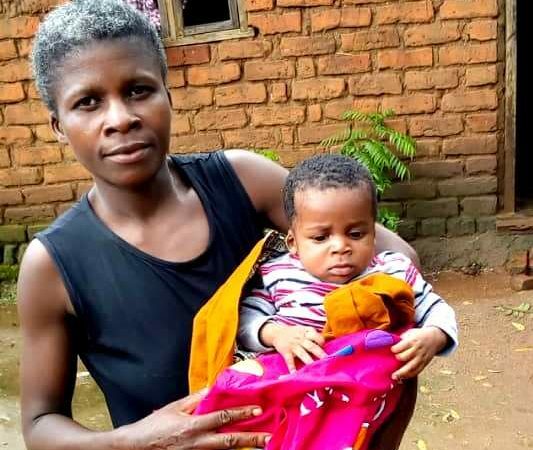 C-sections in Malawi carry significantly high risks than in the US; infections leading to a loss of fertility, loss of a woman’s uterus and ovaries, or even death are not uncommon. Four days after her c-section, a nurse noted pus coming from the wound. The initial treatment of IV antibiotics did nothing, and so Enes returned to the operating table. The surgeon who reopened her wound found a severe infection and decided that to save her life he would have to remove her uterus and ovaries. This time the surgical wound was left open to heal gradually. Nurses cleaned and repacked the wound daily with sterile gauze. Enes’s critical condition improved gradually over three weeks. Three weeks after Vincent was born she returned to her family. Enes did everything she was taught by her midwives during her prenatal care. Rather than delivering at home, she labored at a hospital under the supervision of trained birth attendants. Evenso, she did not have immediate access to emergency obstetric care and there was a delay in the provision of the needed c-section. Because the infection began within days of the surgery it is probable that the infection was caused by poor surgical technique. These weakness in the healthcare system put Enes’ life at risk as well as the lives of her children. During her hospitalization she was too sick to nurse and so her milk dried up – most families are too poor to afford supplemental formula and many children in Vincent’s situation die. As for her children at home, young children who are not in the care of their mother experience an automatic increased risk of illness when compared to their peers. Now four months after Vincent’s birth Enes is weak but able to care for her children and she is breastfeeding. Unfortunately, her milk supply does not yet match Vincent’s appetite. Joyful Motherhood nurses started following Enes when she was at the district hospital and have been providing supplemental formula for Vincent while also working with Enes to increase her milk supply.